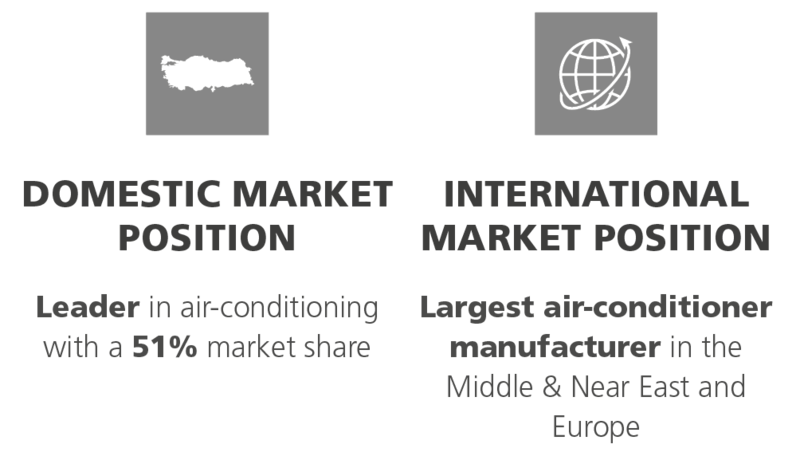 Arçelik LG is the leader in the air-conditioner industry with more than 50% market share. Established in 2000 with a production capacity of 300 thousand units, Arçelik-LG today boasts a capacity of 1.5 million units and 686 personnel. Indirectly, the Company creates employment for around 1,000 individuals in the supply chain. Arçelik-LG is the largest air-conditioner manufacturer in the Middle and Near East, and Europe. Its innovative approach, strong technological infrastructure and extensive distribution and service network help the Company to maintain leadership in the domestic market with a share of over 50%. 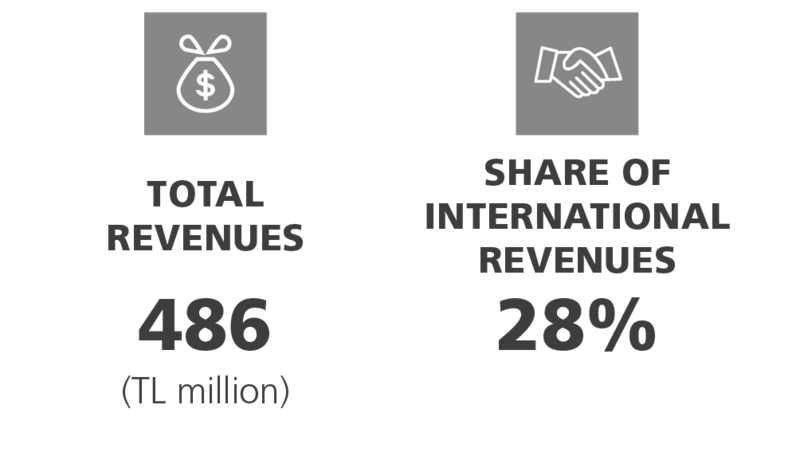 The Company currently exports nearly 45% of its production mainly to Europe, the Middle East, Africa and the CIS. In response to intensifying competition in the market, Arçelik-LG has completed R&D work on a new Inverter model with high energy efficiency (A++ and above) and lower cost, for roll out in 2016. In the commercial air conditioner segment, Arçelik-LG's R&D department has designed and produced domestically manufactured fan-coil units. As a result, Arçelik-LG now offers a competitive "Made in Turkey" product line. Arçelik-LG can now manufacture exchangers domestically that were formerly imported by Arçelik Dryer Plant for its high efficiency dryers with heat pump. As a result, it has become a by-product supplier to an Arçelik plant for the first time. Arçelik-LG provides Turkish consumers with high-quality energy-efficient products, while maintaining domestic market leadership. Outside Turkey, the Company's strategic aim is to grow profitably in Europe, the Middle East, North Africa, Russia and the Turkic Republics. 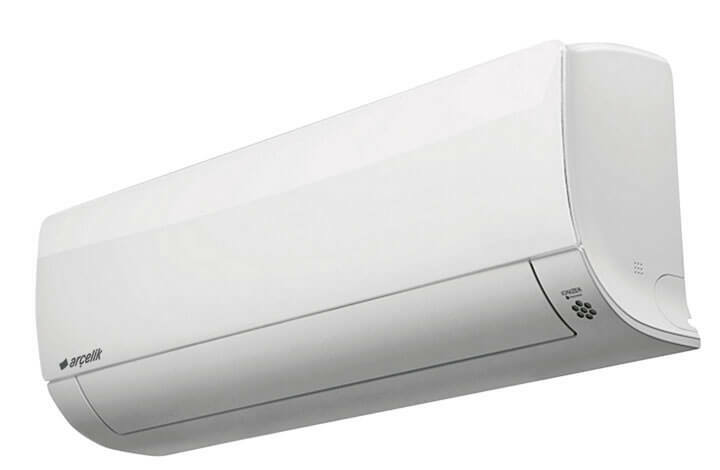 In addition, it continues to focus on increasing its market share and maintaining its leadership in the newly-developing commercial air-conditioner segment by expanding its product range.